Hey guys. I'll admit to not being super knowledgeable about the AR stuff. But I got a few parts in trade, and figure I had a stripped lower in the safe maybe I'll put together. In the lot of parts I got, a incomplete LPK, some monstrous quad rail thing, and a buffer & spring. It's been awhile since I've had an AR on hand, but this looks very, very long compared to what I remember having on mine. 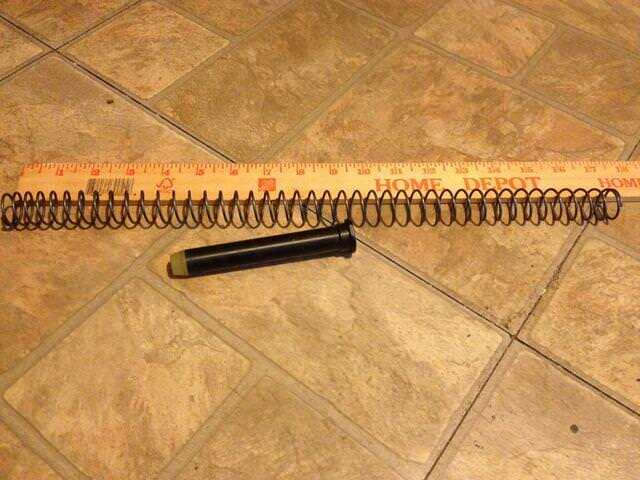 The Spring itself measures out to 17" , looks like 42 coils. I thought I remembered the recoil on my carbine being 10-12" or so? The buffer itself is is just under 5" long, maybe 4 7/8" ish? Are these .308 parts? They seem to be considerably different than any standard parts I've had before. Any input is appreciated, thanks. Yeah then I'm not sure what this is from. 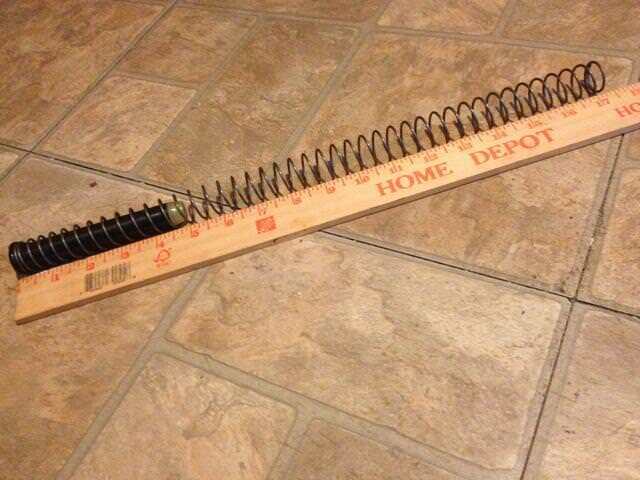 Its 17" long, maybe its just a stretched out and/or hammered spring? Maybe a mag spring from a shotgun? Not outside the realm of possibility, but it came with a buffer on/in it. Also was some odd "rings"? and a firing pin, which looks like it may be a little longer than standard AR too? Is it a flat wire spring were the coils/spring flat instead of round? If so it may likely be a Tubb's shooting system spring which are considerably longer than a standard spring. 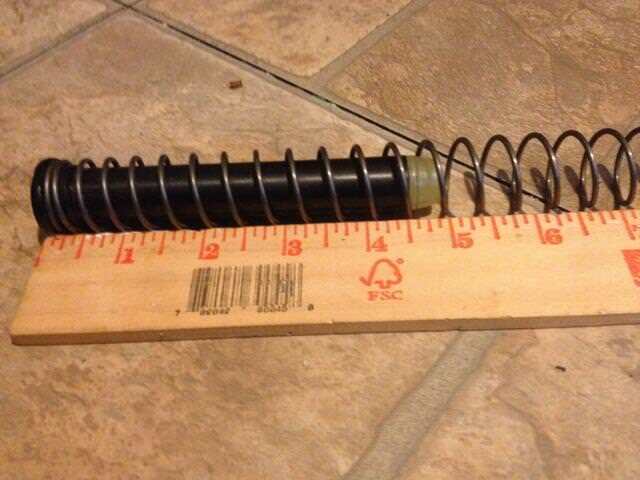 At 17" long I can't think of any spring, other than a shotgun tube spring, that it could be.